The camera features a full resolution of 2464 x 2056 pixels with a 2/3” optical format and pixel sizes of 3.45 µm x 3.45 µm. The polarization capabilities are derived from the sensor’s unique filter array, which consists of four separate polarizing filters – angled at 0°, 45°, 90°, and 135° - that have been arranged in a regular pattern across the sensor. Thus, each block of four pixels can be used as a calculation block to determine the angle and intensity of light reflecting from objects, as well as several other calculations. The illustration above shows how the Sony IMX250MZR sensor is designed. 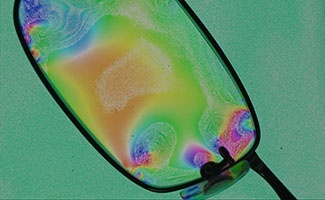 The polarization capabilities are derived from the sensor’s unique nano wire-grid arrays, which consists of four separate polarizing filters – angled at 0°, 45°, 90°, and 135° - that have been arranged in a regular pattern across the sensor. 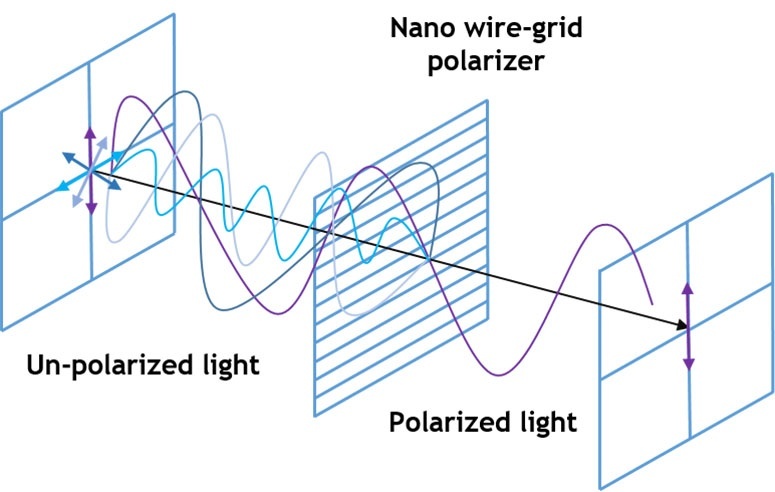 The illustration above shows an example of how a nano wire-grid polarizer works. Due to electric field behavior, all light waves that hit the horizontal wire-grid will be blocked and/or reflected by the grid, except for light waves perpendicular to the alignment of the grid. 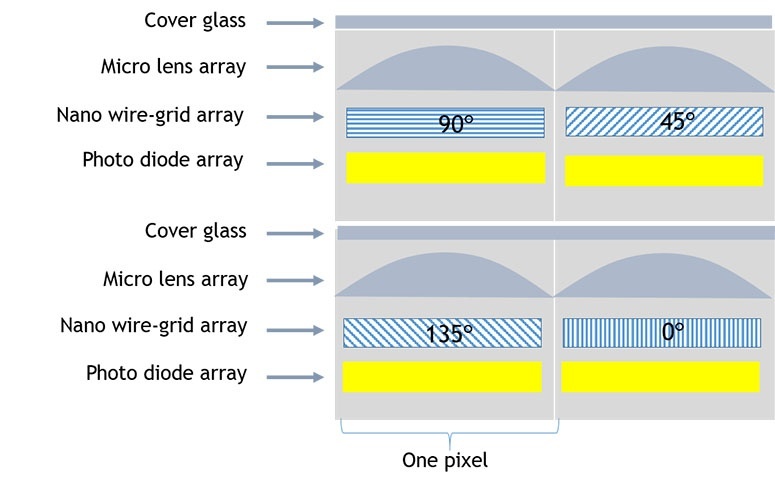 The chip delivers four images in which polarized light is blocked in a specific angle in every image. 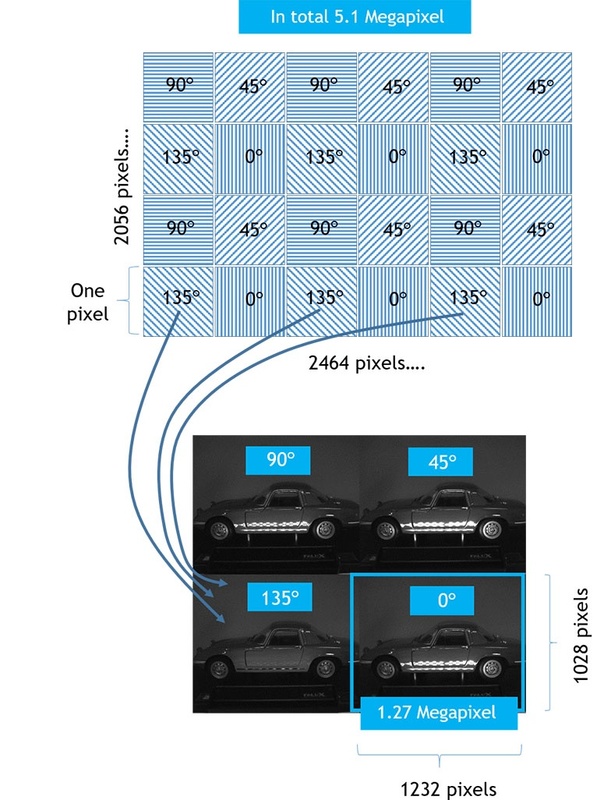 Each image is a ¼ (1.27 megapixels) of the total chip resolution. Other camera features include both single-ROI and multi-ROI functions, shading compensation, and gamma correction. The main camera body is a compact 29 x 29 x 41.5 mm, with a lens mount supporting standard C-mount lenses. Like other Go Series cameras, it is built to high standards for shock (80G) and vibration (10G) to enable it to perform in industrial environments with an MTBF rating of more than 150,000 hours. Full production is schedule to begin in November. 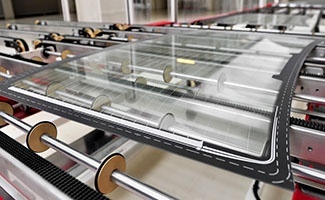 Scratches, dents and inclusions in finished glass are often easier to detect by analyzing with polarized light. Inspection systems for window glass, bottles, eyewear, and lenses can benefit from the GO-5100MP-USB camera. 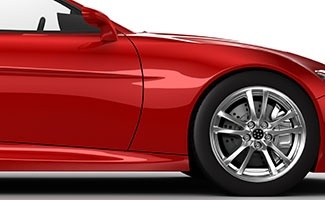 Polarized imaging can be used to inspect the quality of spray painted surfaces in industries such as automotive and furniture, looking for unwanted scratches, dust spots or uneven paint layers.